Whether you are living it up in the summer or freezing in the winter in your side of the world, this trend applies for both scenarios. I am talking about what I like to call innovative shorts. Gone are the days where jeans are the only form of shorts available at stores and seen in street fashion. 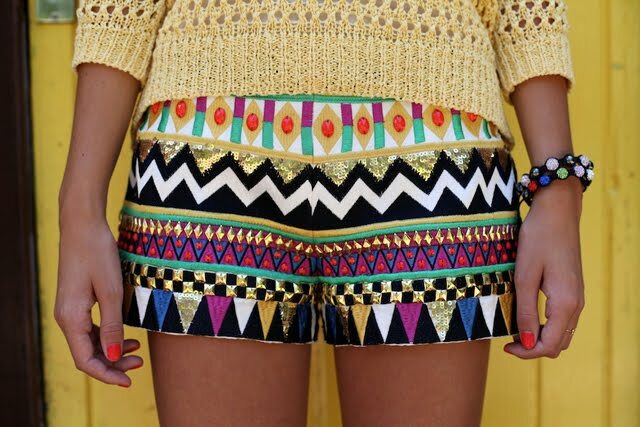 Trend innovators have now revamped this item and made it fun by creating shorts in every texture, print and material known to mankind. My favourite being sequins, ofcourse, as this relates to the 1920s fashion seen in the Great Gatsby film, which is about to reach the closets of every fashion fan across the globe. Which short will your closet adopt?